The last of the 3 Iconic Jordan 11 or referred to as XIs by OG sneakheads, finally has an updated release date this Holiday 2019 in December 14. 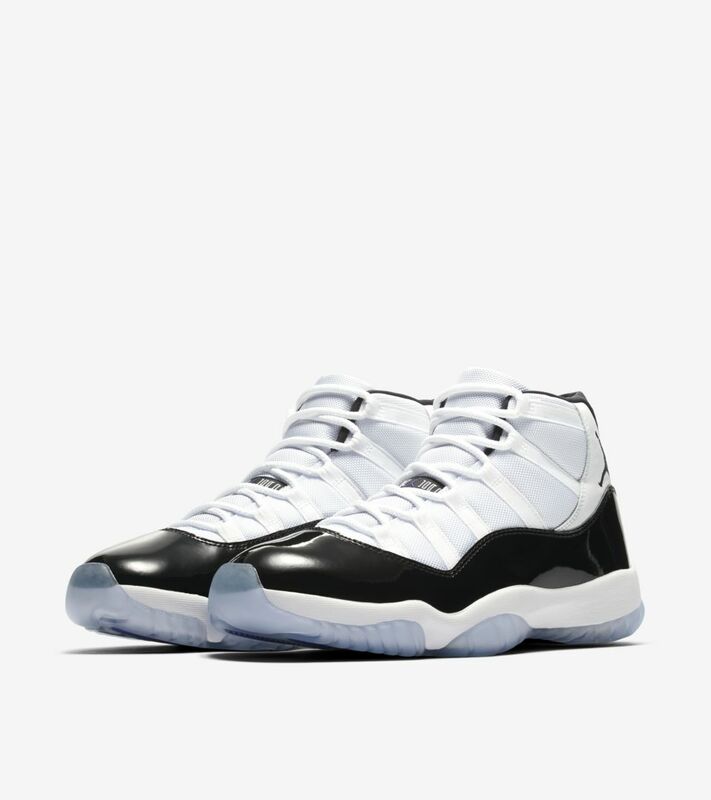 It is still a long wait but will definitely catch on and will follow suit with the last two released iconic colorways, Space Jam and Concords. As reported by Nike both these colorways had hit the charts in their sales. It has been leaked that the silhouette will be remastered as in the original PE seen way back in 1995. However, this time it will carry the “45” on the heel tab instead of the “23”. As being talked about around, the pair may have a higher-cut on the patent leather and could be similar to the 2016 released Space Jams. The Bred 11s were released in 2001, 2008 (CDP pack) and in 2012. It is very iconic in the sense that Michael Jordan wore this and propelled his team to 1996 NBA Championship, his 4th NBA Title with the Chicago Bulls. Online sores in the US releasing the pair. Halfway through the NBA Season Nike opts to release a colorway of the Air Foamposite One silhouette. 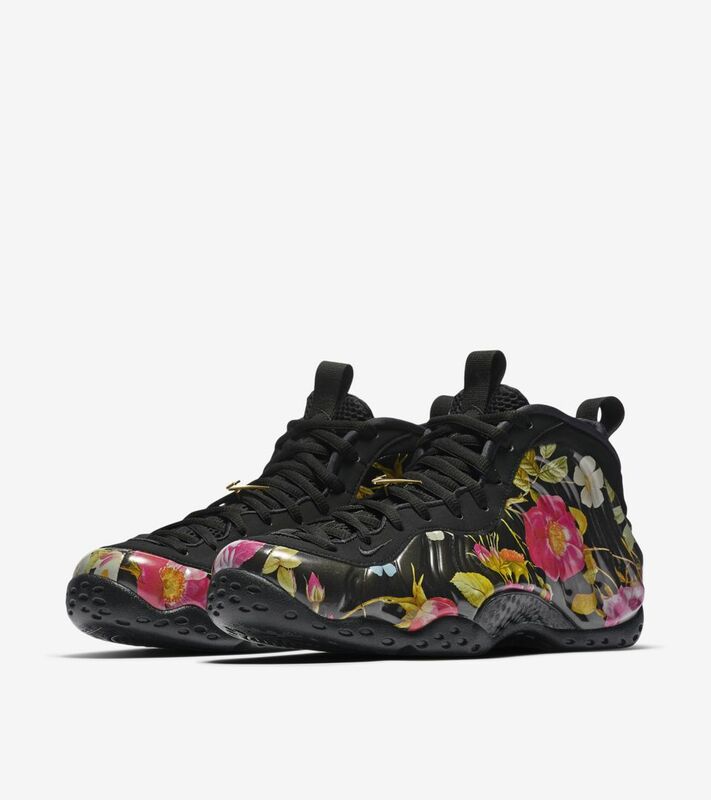 The pair features floral patterns all over the shoe on Foamposite materials lined with Blacks on upper and sole. The subtle gold swoosh branding dons the lace locks for a classic touch. It’s a bit tricky on the sizing as foot sites consider it Mens sizing while Nike introduces it as a Womens shoe. So be careful and cop the correct sizes. Bringing cheers and opportunity to kids from Doernbecher Hospitals to be creative by giving them a chance to design and customize their own popular Nike and Jordan silhouettes. Chloe Swientek, a 10-year-old from Portland, Oregon, doesn’t let cystic fibrosis get in the way of doing the things she loves, and her WMNS Air Force 1 design echoes that sentiment. Her shoe features her basketball jersey number on the toe box, and the Swoosh features the word breathe, the genetic mutations that cause Chloe’s CF appear on the tongue, and a pair of lungs are tucked away on the sockliner. Replicated on the outsole is Chloe’s port, an implanted device that makes it easier for her to receive medications. Let’s do amazing things for kids. Your gift will benefit children’s health and well-being at Doernbecher Children’s Hospital. Support the cause here. The Air Jordan 11 Retro Concord last released back in 2011. This is the 5th time this popular colorway since it dates back to the OG release back in November 1995. The colorway features the OG high-cut with the familiar white mesh upper and dark concord the black patent leather around the shoe. The Jumpman logo branding and number 45 located appears on the heel pull tabs and the bluish icy translucent outsole completes the retro. If resellers quit on this Air Jordan 11 Retro Concord release, everyone who wants to have a pair will have a pair. There will be about 989,566 pairs in men’s size and around 850,000 pairs for GS, PS, and TD sizes. Tentative release date has now been set in October but it is not early to prep to get a pair or double up. Stay tuned for updates on this release. Update: Release on J11 Concord is pushed to December. This can be your Christmas gift to yourself. Whole family sizing will hit Jordan Brand stores this Saturday, Dec 8th, 2018. For fans of this colorway, good luck. This may be the easiest cop of this famous colorway so to date. 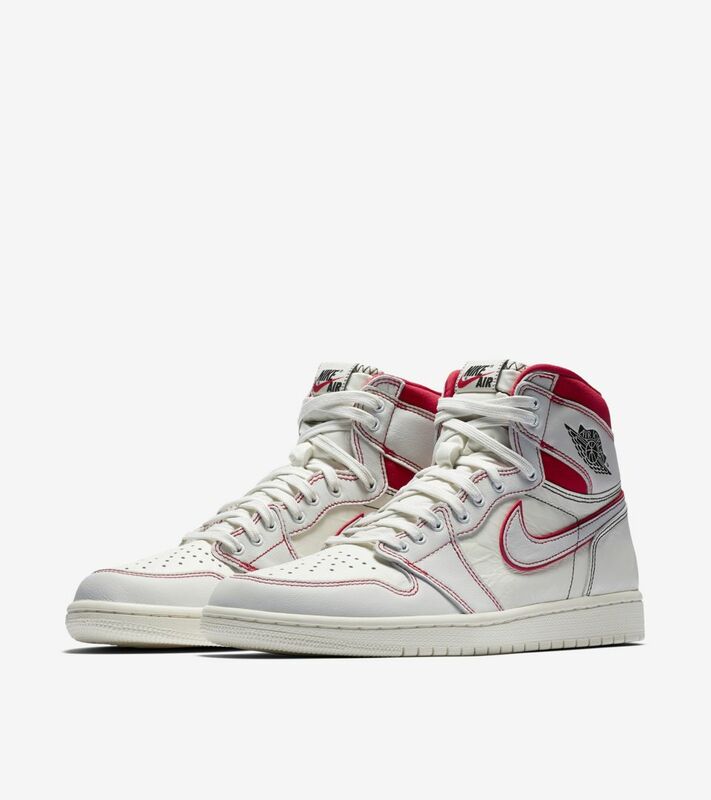 For non campers, here are direct online store product links to use when you cop a pair or two… or more …. this Saturday. 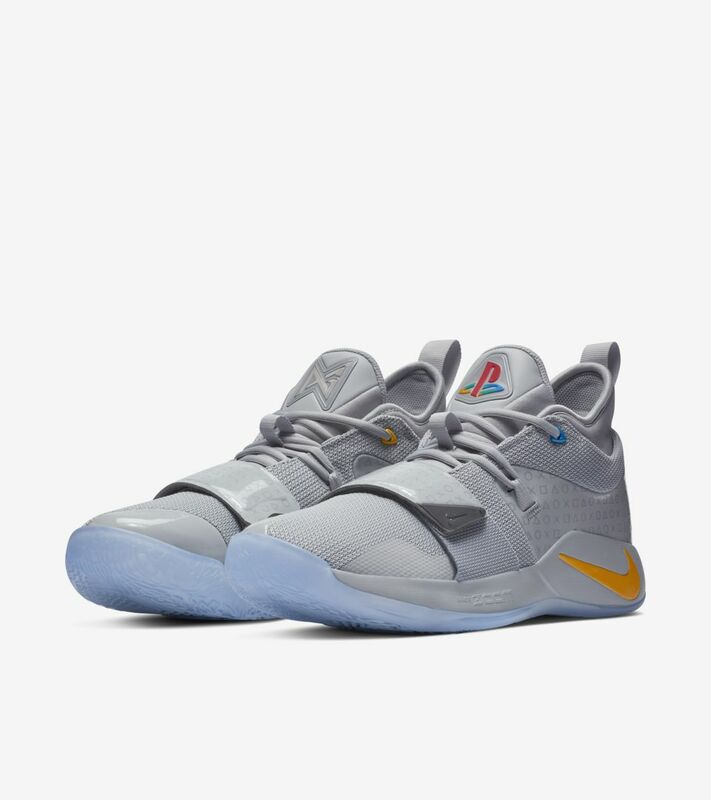 Copping party starts midnight in Europe and 10AM Eastern or 7AM Pacific. Sleep early! This is the 3rd restock of this favorite colorway on the adidas Yeezy 350 V2. 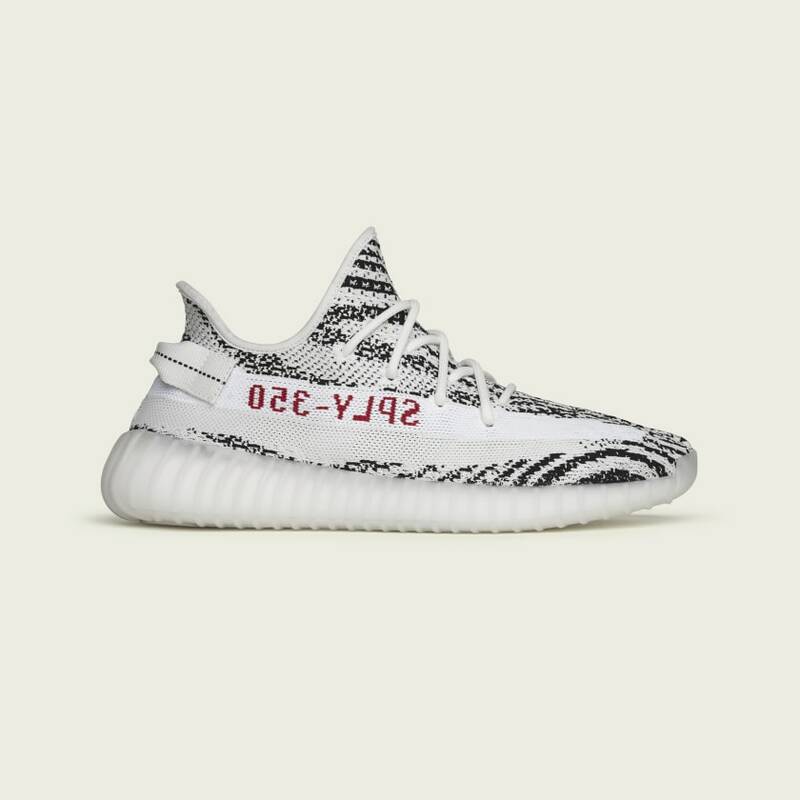 Reseller market price has gone down quite a bit and hovering around $300 depending on size availability. Hypes have been down for this silhouette but pretty sure this will still be a hard cop. If you need this pair you better have the best of luck on your side. Here are links to stores online carrying and raffle-ing the pair this time ’round. Be early and stay woke! *- No local US storefront but ships to US Continental States. These stores usually releases online from 12MN Pacific on the drop date.